Not so long ago we learned about climate change and its most obvious consequence, global warming. It was on August 8, 1975, forty years ago, when a researcher at Columbia University published in the journal Science a revealing article entitled “Climate Change: Are We on the Brink of a Pronounced Global Warming?”, warning that global temperatures would increase in the coming decades. It was the first time the term ‘global warming’ was coined, that Wallace Broecker (Chicago, 1931) associated it with the accumulation in the atmosphere of carbon dioxide (CO2) and other greenhouse gases due to fossil fuel burning. 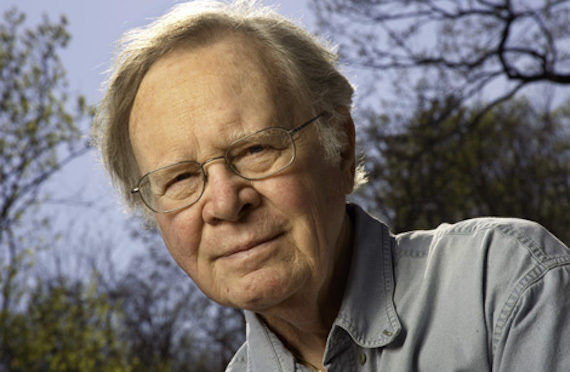 In addition to this “first”, Broecker enjoys a scientific reputation that has been brewing for 50 years with his other geophysical research. In the 1970s he pioneered the study of gas exchange —including CO2— that takes place between the ocean and the atmosphere. He was also the first to investigate how the ocean absorbs atmospheric CO2 so that it plays a key role in regulating global temperatures. Broecker has won numerous awards and honors that endorse his successes. In 2008, he received the Frontiers of Knowledge Award from the BBVA Foundation, whose endowment (€400,000) was donated to Columbia University so that research on climate change would continue. The warning that Wallace Broecker made in his famous 1975 article, on a man-induced abrupt climate change, was eventually taken up. Firstly, by the scientific community and the movement for environmental protection and, later, by the political authorities. Since 1992, summits have been held every year where governments discuss, review and sign protocols to reduce the emission of greenhouse gases. Negotiators stipulated in 2011 that the final agreement should be adopted before the end of 2015, just when the Paris Summit is being held, considered to be the greatest opportunity to reach an agreement involving the 195 countries present. Is Climate Change Mankind's Doom?